Gmail Insights: What’s Behind Google’s Gmail Image Caching? Google certainly likes to tinker with Gmail. Last summer, they added tabs to the Gmail inbox, which some people predicted would lead to massive declines in opens and engagement and signal the eventual demise of email marketing, if not the entire western world. On this blog, we predicted that the fear of the Gmail tabs was overblown and that good, engaging subject lines and content would prevail. We’re happy to report that the statistics appear to bear this out. While some ESPs have reported slight drops in open rates, most, Goolara included, have seen little or no impact from the addition of tabs. In other words, the images in that email are no longer coming from you—they are coming from Google. This isn’t anything new to email clients. Outlook.com and Yandex already cache images and have done so for a while. Given the response in the email marketing community to Google’s announcement, it is curious to see how little attention was paid when Outlook.com started caching images. So how serious is this change? We’ve been testing emails with it over the past few weeks, and what we found did not make us happy. Here are our findings and conclusions. At the same time that Google started caching images, they switched from a default of images turned off, to a default that displays images upon opening an email. As a result, the January stats for Gmail showed a marked uptick in the email client’s use. One source reported a 243% increase in Gmail opens. Of course, an email platform that opens images by default is going to return higher open rates than one that defaults to images turned off. The same source reported last summer that nearly two-thirds of all email was being opened on iPhones. It doesn’t take a mathematician to see there’s something wrong with that figure. Figures like this make email marketers happy, but it would be a mistake to put too much stock in them. Your Click Through Rate (CTR) is still a better metric for measuring actual engagement. We were initially worried that Google’s new caching approach would create a situation where only the first open and the first link address would be recorded, but a test send revealed this not to be the case. If you send out three thousand emails, you’ll receive the correct number of opens. Where the metrics fall down is when it comes to the subsequent opens. These aren’t recorded, but reopens are notoriously misleading numbers when it comes to determining recipient engagement. A bigger problem with Google’s caching approach is how it affects image replacement. In the past, if you sent an email with a problem image, you could replace that image on your server and any subsequent opens would see the new image. Now that Google is caching the images, this is no longer always true. Emails that were opened more than an hour after an image was replaced on the server fared okay, but emails that were opened within a few minutes after the image was replaced did not reflect the changes. Google does appear to replace modified images, but they do it in their own sweet time, which is bad news for marketers. Where in World Are You? One metric that is severely curtailed by Google’s image caching is the ability to geolocate a recipient based on the IP address. Any attempt to do so will return Google’s Mountain View headquarters. This is because it was Google, in fact, that requested the image. Our investigation shows that two separate and unrelated email addresses receive the same cached image and it is only on the first open that the image is requested from the sender’s server. Information about the location of a user (based on their IP address), as well as information about the devices used to read the email (iPhone, tablet, desktop application, etc.) is rarely useful on an individual basis, but can be quite interesting in aggregate. Knowing that Sam Jones once used an iPhone to open an email while in Boston isn’t terribly useful, but knowing what percentage of users are opening with mobile devices is quite useful, and knowing where the bulk of your users are located around the world can help you determine how regional your content offers should be. Unfortunately, Google has now removed this information. It is still available for clickthroughs, as Google and others have not yet re-written these to go to Google’s proxy servers, but that’s not to say it won’t happen in the future. An aspect of Google’s new caching technique that has some email marketers up in arms is the fact that it completely eliminates any data on reopens. 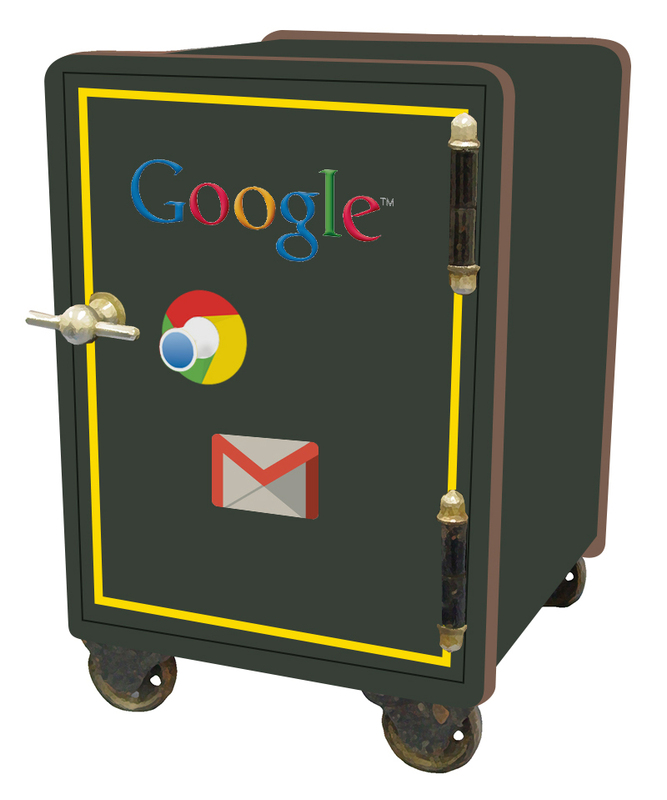 Once the image is on Google’s server, if an email is opened a second time, this fact is known only to Google. In truth, the value of the second open is questionable. Deleting adjacent emails and any accidental clicking of the email are treated as additional opens, but have little value in terms of engagement. The clickthrough rate is a more important number and fortunately for marketers everywhere, Google hasn’t found a way to take that away from the ESP metrics. One interesting side effect we’ve noticed is that email senders with slow servers are getting a boost in content delivery thanks to Google’s Content Delivery Network (CDN). Retail senders such as Anne Taylor and Fab are showing noticeably faster image load times in Gmail than in our other email clients. On the other hand, companies that use third-party CDNs, such as Akami, CacheFly, and Amazon Web Services no longer have the speed advantage here when it comes to displaying images in Gmail. As to whether this is enough of an issue to affect the bottom lines at these CDNs, that remains to be seen, but it is doubtful. There are still plenty of other people out there using email viewing platforms other than Gmail. So why is Google doing this? Google’s official explanation of the reason for this change is that “some senders try to use externally linked images in harmful ways.” They don’t explain exactly what they mean by this. They simply say it and assume we will nod in agreement. “Senders can’t use image loading to get information like your IP address or location,” which is true enough, but exactly why this is bad thing is not explained. They go on to say that this new approach will help avoid unwanted cookies, malware, and viruses. “We’re just doing it to help you,” Google seems to be saying. “We have no other motive.” But let’s look at what Google had to do to get this up and running. With over 450 million active users, this isn’t a minor undertaking. First they had to set up proxy servers—many terabytes worth—to cache all these images. Then they had to devote time to coding the procedures that rewrite the URLs to send image requests to their servers, which normally means hours of testing, debugging, and retesting. That’s a lot of work. Clearly there has to be a benefit for Google. It’s true that improving customer service is always good policy, but an important fact omitted from Google’s rationale is that data such as the IP addresses and the geolocations don’t magically disappear when Google caches the image. The sender may no longer get this data, but Google certainly does. What Google plans to do with this information remains to be seen. Google has already shown a tendency to take the long view on things, so we may not find out the reasons right away, but it would be naive to think that Google doesn’t plan to use this data. Some ESPs have already implemented this, and some have not. While this does help the ESPs track the number of opens a mailing will have, it doesn’t address the main downsides to Google’s new policy. The image request still comes from Google, not the recipient, so any information about recipient’s location or the device upon which the email was opened remains unknown to the sender. As far as anyone can tell, Google requested the image and it was sent to their servers in Mountain View. Whether Google will allow this information to be passed on to the ESPs at some future date remains to be seen. For now, that information belongs to Google and they’re not sharing it. This entry was posted in Email marketing, Gmail Insights, Trends and tagged Gmail, Google+, image caching on March 6, 2014 by Jim Morton.